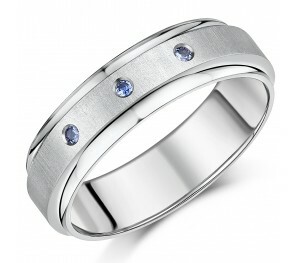 A 7mm titanium contrasting wedding ring patterned with a raised centre band offset with three sapphire stones. 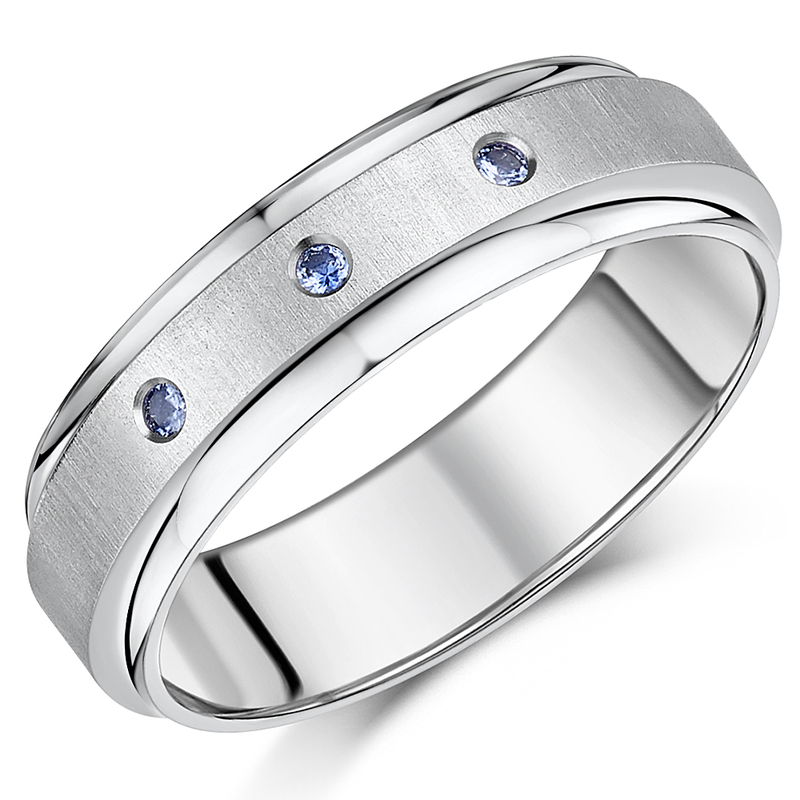 Featuring a raised, stand up central band with a brushed matt satin finish, studded with three sparkling sapphire diamonds, the sleek and sophisticated design of this ring is offset by the contrasting high polished concave profile edges to complete the classy effect.The perfect gift for any occasion, offering lasting comfort and style. ''This product is available for next day delivery". Combines matt and polished finishes. Set with three sapphire diamonds.